Baba Ramdev approached 5 banks during the second week of November to carry out a proposal of joining Patanjali stores to facility of digital payments. Patanjali is expecting to start this service by the arrival of Christmas. Through this facility, customers will be able to avail the ease of making payments with cards, e-wallets and other modes of digital payments. The meeting was referred to post demonetisation cash crunch effect. As on November 8,2016, PM Modi announced the discontinuation of Rs. 500 and Rs. 1000 notes, merchandisers faced the heavy fall in sales because of lack in cash currency. Doing this, the Ayurvedic giant Patanjali is all set to follow PM Modi’s cashless economy vision. Patanjali runs thousands of stores in whole country. Right now, the company has 5,300 stores scattered all over the country. They are intending to make all purchases digital exceeding Rs. 50. Country is going through arduous situations of long queues due to lack in cash. On this benefitting attempt, Acharya Balkrishna, Patanjali CEO said, “The endeavour is to ensure that no poor person is denied any product for want of cash”. The five banks include SBI (State Bank of India), Punjab National Bank, Axis Bank, ICICI Bank and HDFC Bank. Patanjali has grown to become one of the finest examples of the success of digitalisation in India and they have taken complete benefits of the availability of best digital marketing companies in India. No other bank chose to speak on this matter. 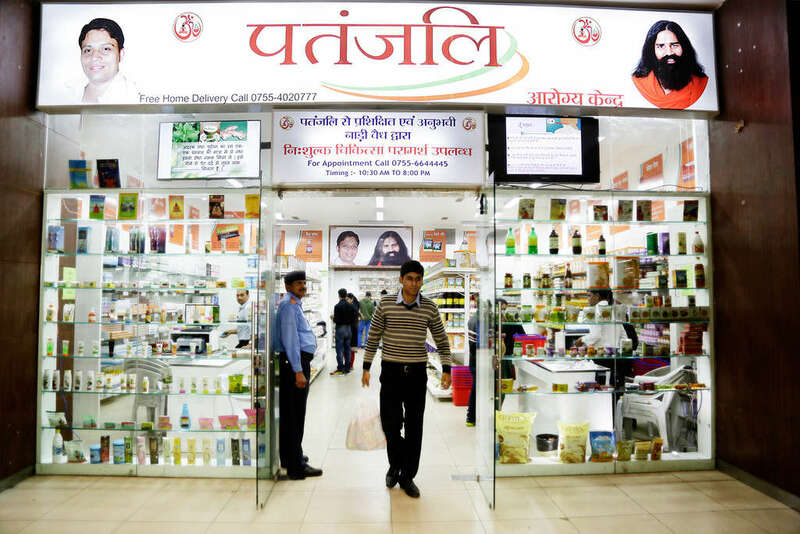 Two bank executives revealed that, since long Patanjali was trying to get the digital connectivity activated but didn’t want any names to appear. In their statements, they mentioned Ramdev strongly supports cashless economy and even suggested PM Modi to scrap the higher currency notes. He also suggested to apply tax on transactions and bring more transparency in banking system.